Like all the other printers in Brother’s HL series, the Brother HL 2270DW also is a complete package with lots of compatibilities at the lowest cost possible. This wireless printer has separate drum and Brother HL-2270DW toner cartridges. It supports cabled network (USB and ethernet) and wireless printing from mobile devices, including iOS and Android, as well as from PCs and Macs. The printer also has a duplex feature. The device weighs 7Kg and measures 368 X 360 X 183mm. It comes with an easy CD-based installation system and has a twin-button wireless setup. There is a manual under-tray at the front bottom of the printer which can hold up to 250 sheets at a time. The control panel of the device is situated at the top left corner. It consists of a column of four LEDs, labelled as Toner, Drum, Error and Ready and one a 'Go' button. The Brother HL 2270DW has been rated one of the top mono laser printers for its high printing speed of 26ppm. The printer also offers you a great print volume of about 12000 pages. 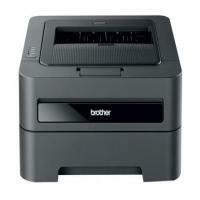 Brother HL-2270 DW is a complete home-based monochrome laser printer. It offers great printing quality and with a bunch of advanced features that you can expect only in high-end printers. The printer is surprisingly inexpensive and its separate drum and toner cartridges help it to print for a much longer time period. The Brother HL-2270DW toner cartridges can seem quite expensive but you can always choose its compatible replacements to get similar print quality at much lower cost. How to Improve the print quality of a Brother HL printer? If you have a print quality issue with your Brother HL-2270DW printer, here are a few solution that can help you resolve the issue. Before you proceed with the steps below, print a test page first (check the user manual to know how to make a test print). If the printout looks good, the problem is probably not the machine. In that case, either the interface cable is not properly connected or the Brother HL-2270DW toner cartridge is faulty. It is very important that you use high-quality printer supplies only. Otherwise, it may affect the print quality, hardware performance, and machine reliability. Open the printer and take out the drum unit along with the toner cartridge. Now gently shake the assembly (drum unit and toner) from side to side for an even distribution of the toner ink inside. If the LEDs indicate ‘REPLACE TONER’ (while the printer’s toner settings are in Continue mode), install a new Brother HL-2270DW toner cartridge. Check the machine’s environment. Conditions such as humidity, high temperatures, and so on, may cause this print fault. For more details, you can read the Safety and Legal booklet. If the whole page is too light, Toner Save Mode may be on. Turn off Toner Save Mode in Advanced tab (For Windows®) or Basic tab of Print Settings (For Macintosh) of the driver. Install a new toner cartridge. Refer the Replacing the toner cartridge section in the manual for detailed instruction. Install a new drum unit. Check the Replacing the drum unit section of the user guide for instruction. Q. I inserted new BROTHER HL2270DW toner cartridges after the display screen flashed a message saying ‘toner empty’. But still, after having inserted the new cartridges, it continues to show the same message. What could be the problem? Q. I need a printer with fax, scan and print facility. Are all these features present in BROTHER HL2270DW printer? A. BROTHER HL2270DW printer is a monochrome printer designed for laser printing only. It does not offer scanning or faxing function. Q. I would like to purchase a pack of BROTHER HL2270DW toner cartridges. But I am confused. For best quality and performance should I go for the genuine cartridges or compatible ones? A. The compatible toner cartridges are manufactured with best materials keeping the focus on its durability, quality and performance that exactly mimic the original cartridges. Furthermore, one can get equivalent print results through compatible cartridges at cheaper rate than original ones. Q. Is BROTHER HL2270DW printer compatible with Macintosh OS 10.10? A. Yes. The BROTHER HL2270DW model is compatible with Mac OS 10.10.